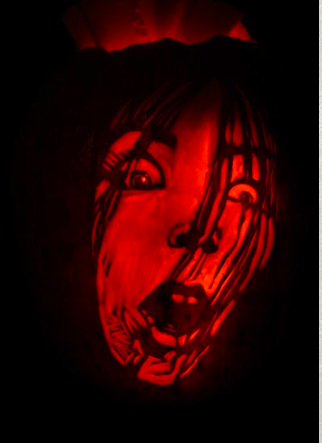 Maniac Pumpkin Carvers Are Sick. 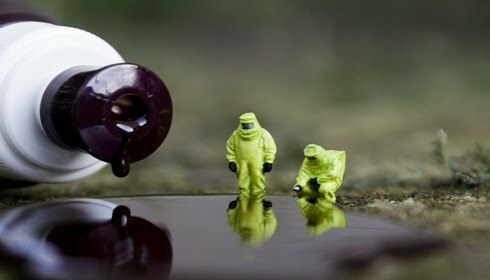 And A Successful Business. 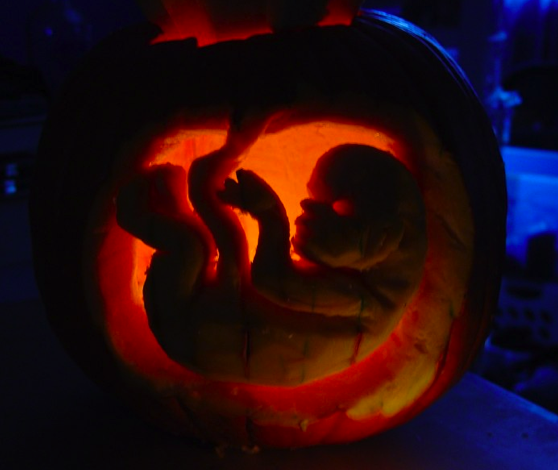 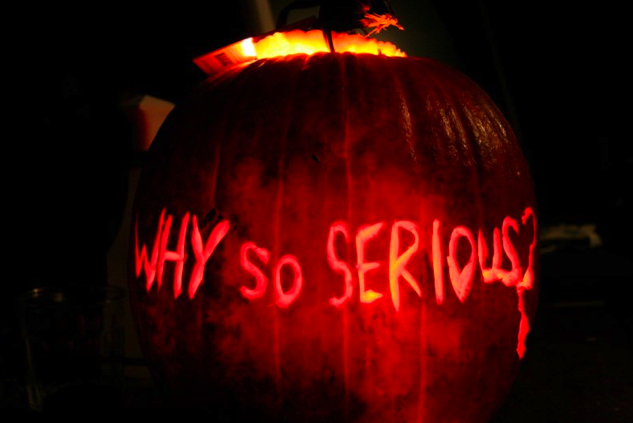 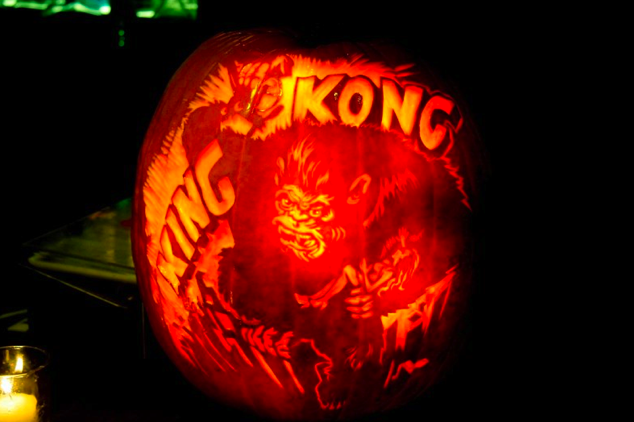 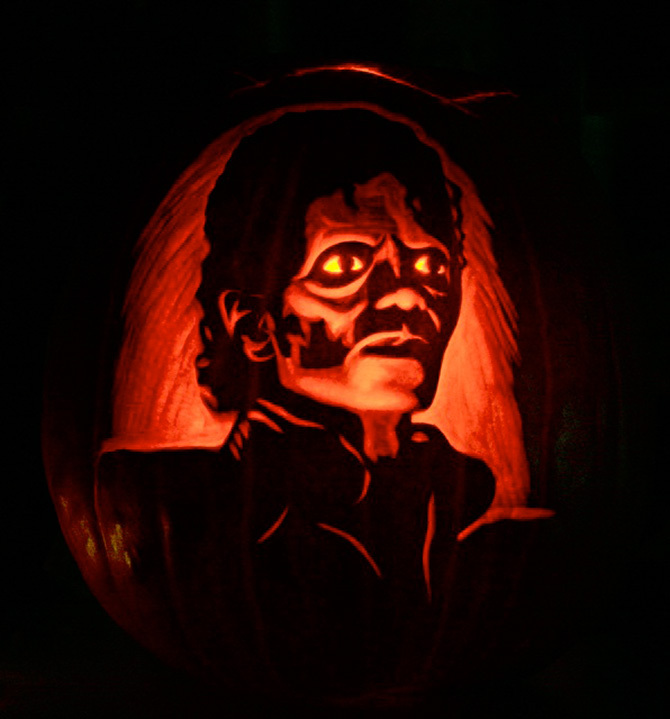 MANIAC Pumpkin Carvers have turned the art of carving a pumpkin into quite a business. 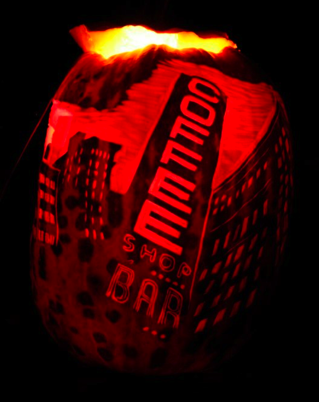 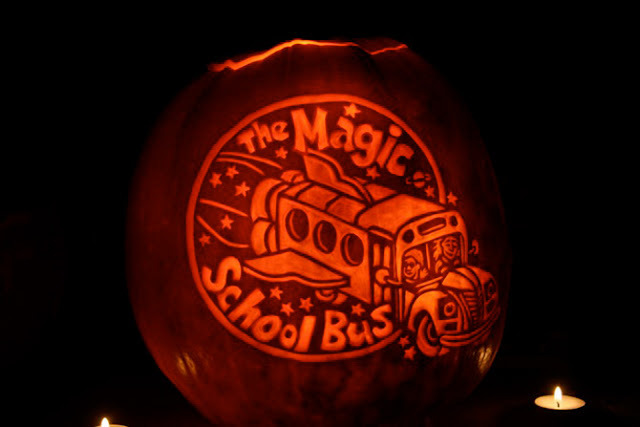 Creating 'promotional' and 'custom' pumpkins, their artful work is often used at Hollywood industry parties and movie launches, company events, hotel and restaurant lobbies, retail establishments and more. 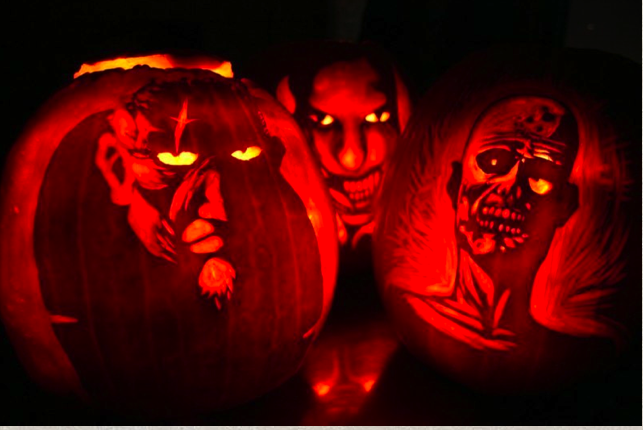 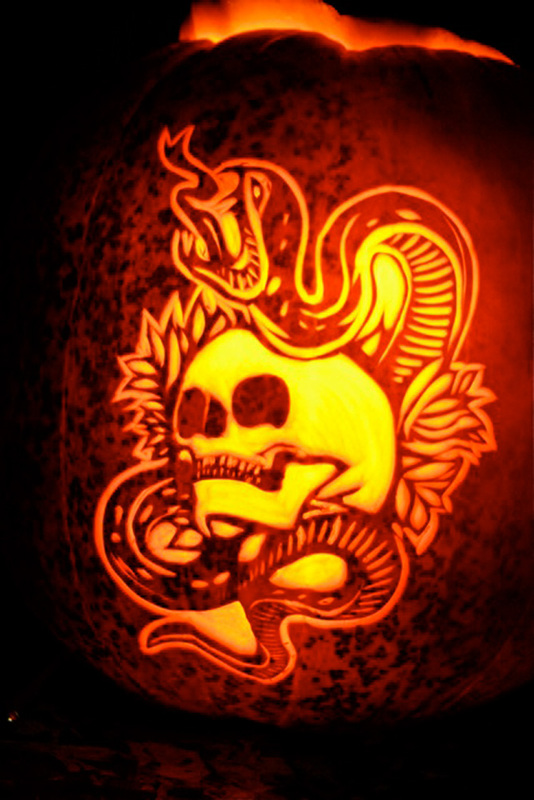 Marc Evan and Chris Soria are the masterminds and talent behind Maniac Pumpkin Carvers. 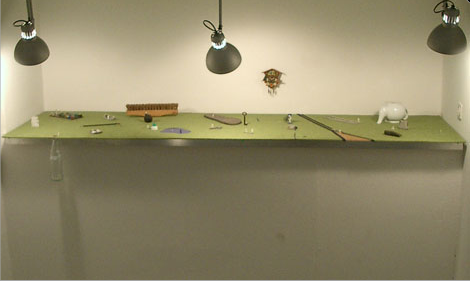 Lifelong friends and colleagues, both are graduates from Parsons School of Design who started creating together at the age of 12. 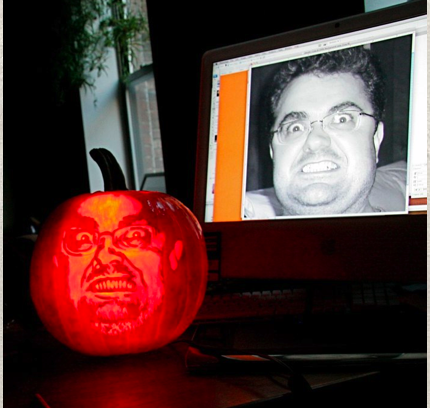 Outside of October, Marc and Chris are professional creatives, involved in art, illustration, murals, photography, and visual innovation, but during the month of Halloween, these guys rule the pumpkin carving realm. 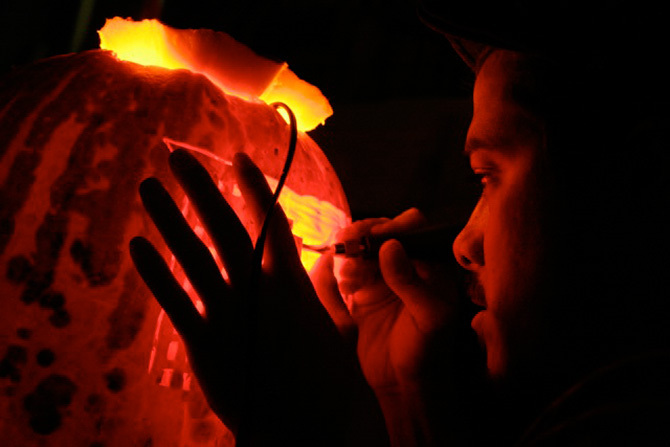 Hand crafted with detail and attention in a full creative studio, Maniac Pumpkins bring fascination and allure to any home, lobby, bar, restaurant, club, or social environment. 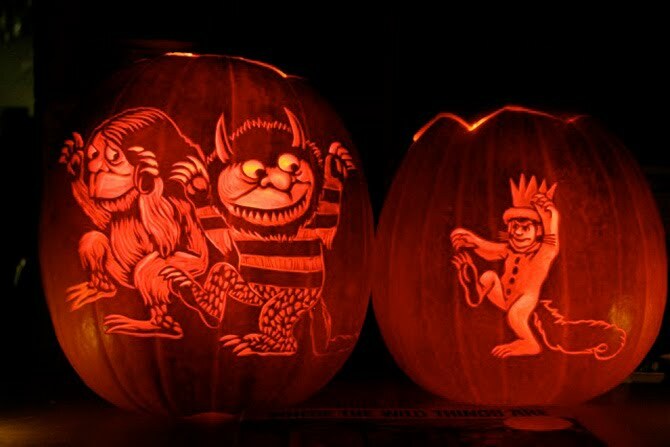 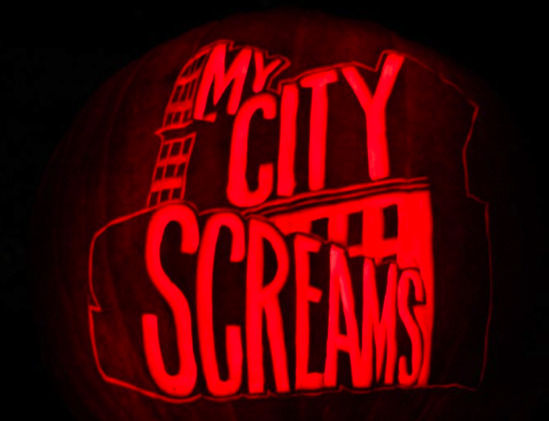 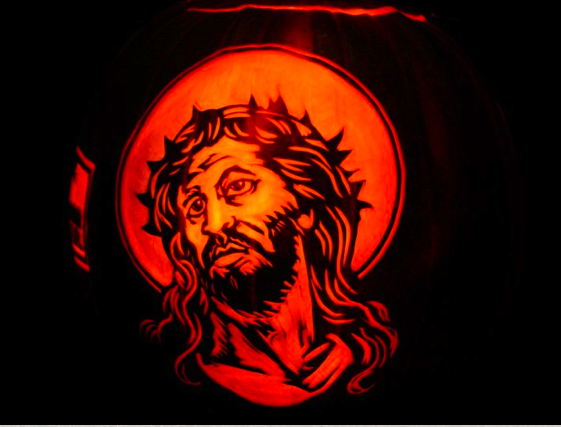 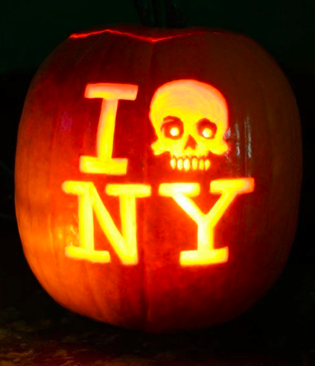 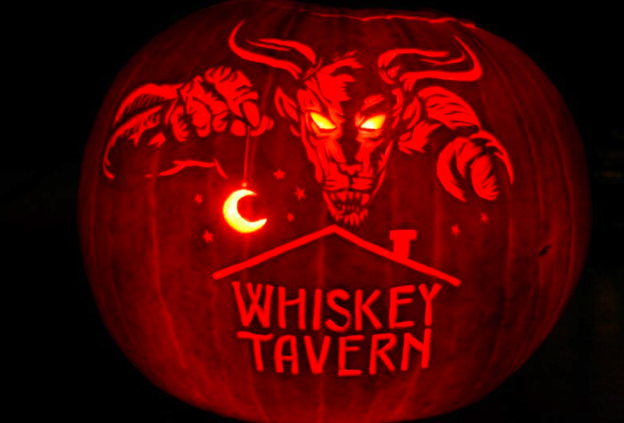 Specializing in intricate carvings, Maniac Pumpkin Carvers turn ordinary pumpkins into glowing portraits, pictures, logos, lettering, wraparound designs, and all manner of monsters. 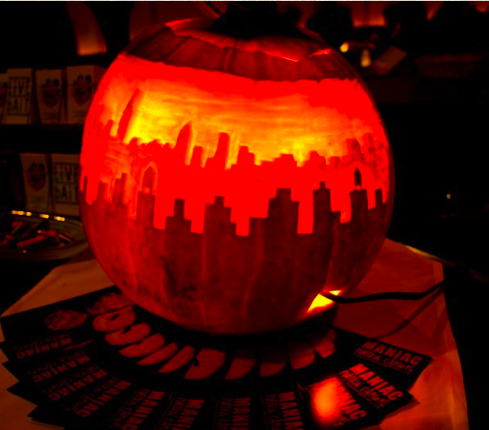 Maniac Pumpkin Carvers are committed to being environmentally responsible. 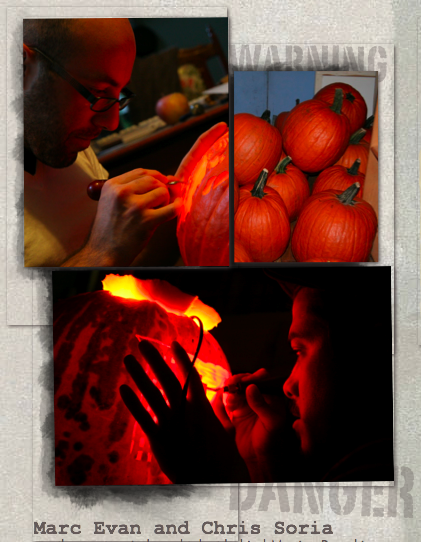 They use locally grown pumpkins and green practices whenever possible. 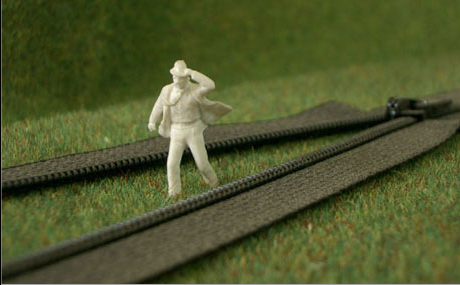 All of their promotional materials are printed by Jakprints with soy inks on recycled paper. 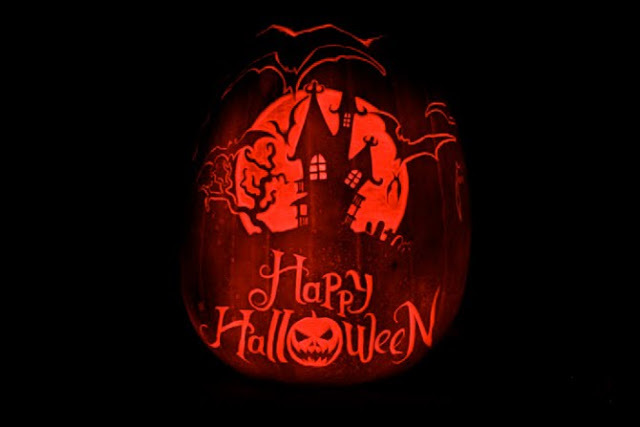 These works of art make the perfect centerpiece for any social gathering from halloween and birthday parties to weddings and corporate events, attracting attention and leaving lasting impressions. 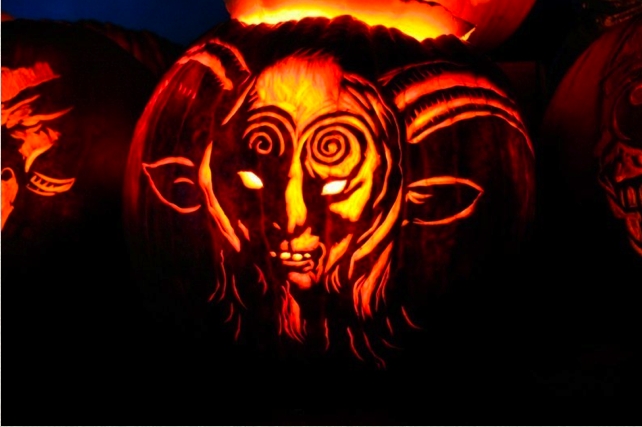 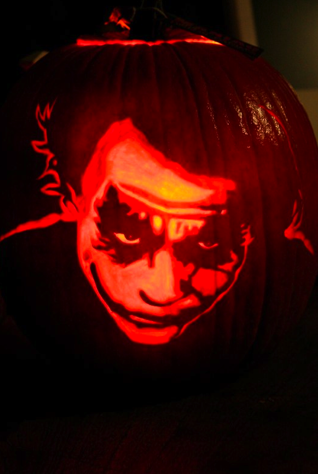 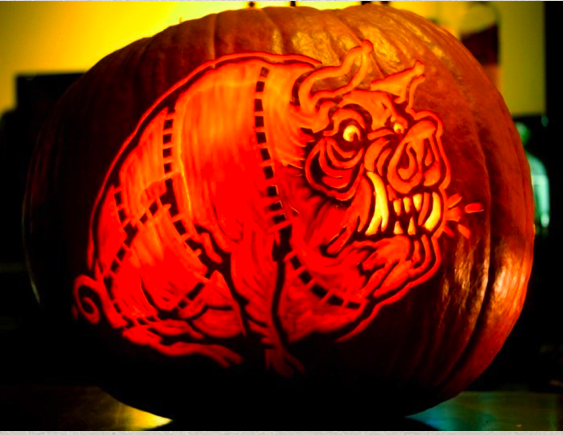 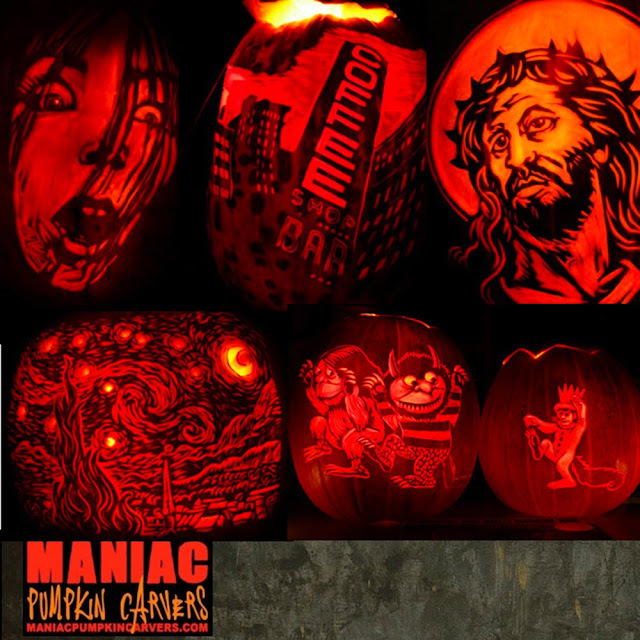 all images and info courtesy of Maniac pumpkin carvers and Wired Magazine. 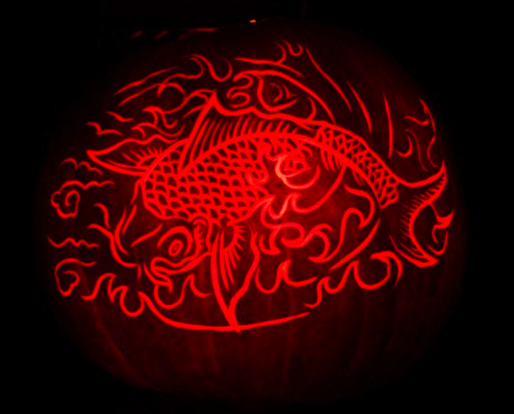 There is a limit to how many carvings they can do each year so make your reservations now! 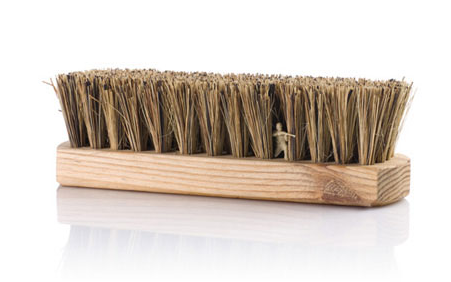 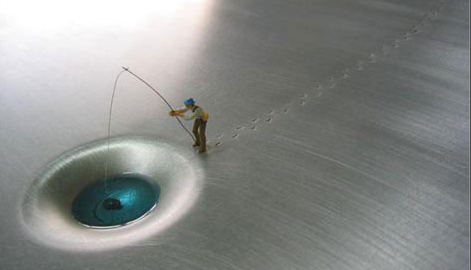 In advertising, when attempting to come up with a fresh idea or execution, it is often said "it's been done". 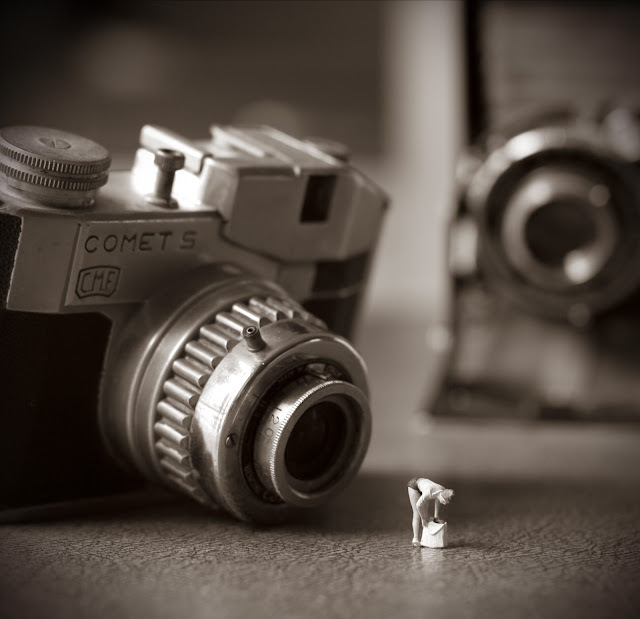 The same can hold true of many art related disciplines and clearly the juxtaposition of miniature figurines with ordinary objects has proved to be but one of the concepts often executed. 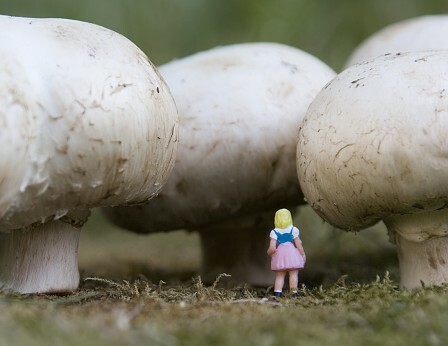 Here are just four (and there are more) artists/photographers who have created visual narratives by placing tiny human figurines with ordinary and mundane items. 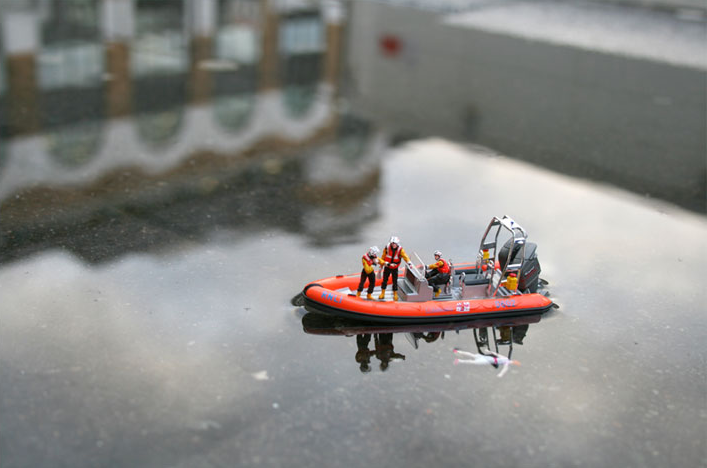 Ami Drach and Dov Ganchrow are artists/industrial designers who combined their talents in 1996 to form an Israeli-based design studio located in South Tel Aviv. 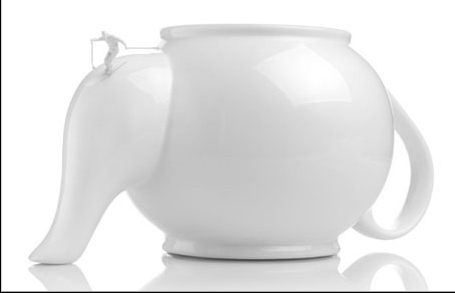 They collaborate on everything from lighting design and furniture to medical products and dinnerware (you may have seen their "hotplates" on designboom). 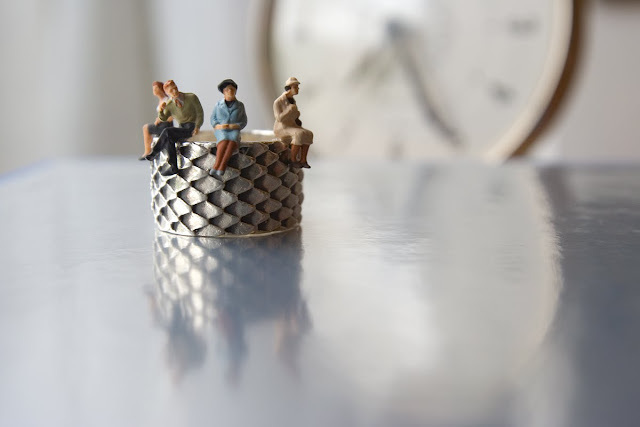 One of their lesser known projects, Baktana, is a series of miniature figurines juxtaposed with found objects, creating little narratives. 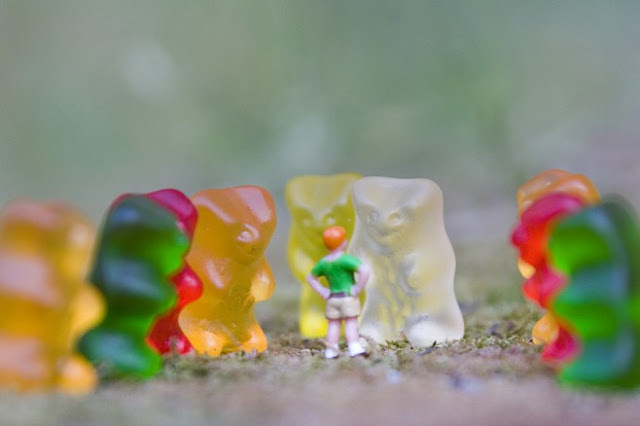 I just love them, so I wanted to share them with you. 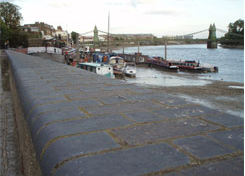 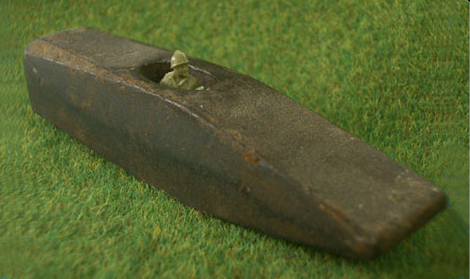 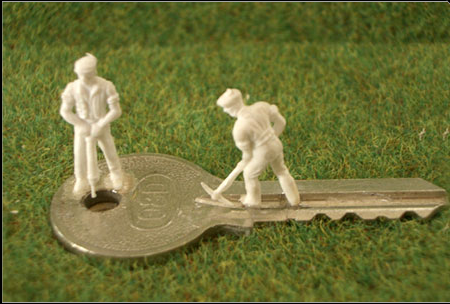 The tiny monochrome figurines are those often used in architectural models or with model trains. 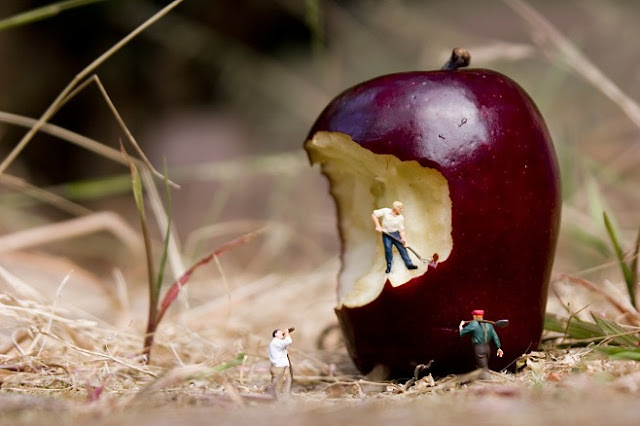 By placing them in and around such mundane objects as pencil sharpeners, wire brushes and keys, they create stories of their own. 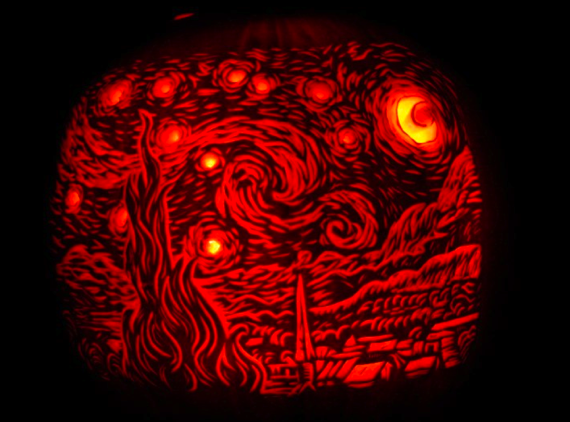 See more of their work and projects here. 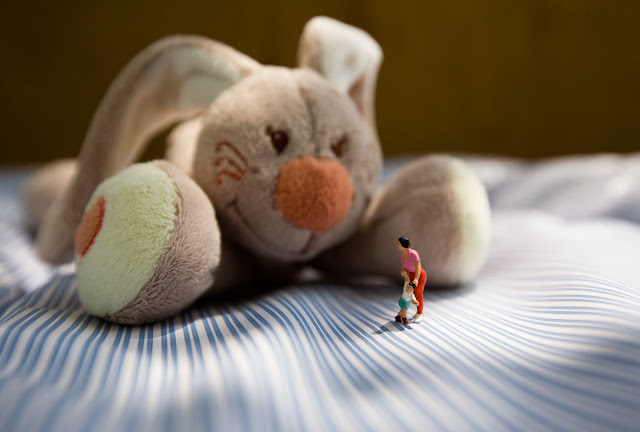 He has an enormous amount of images in this series, and you can see them all here. 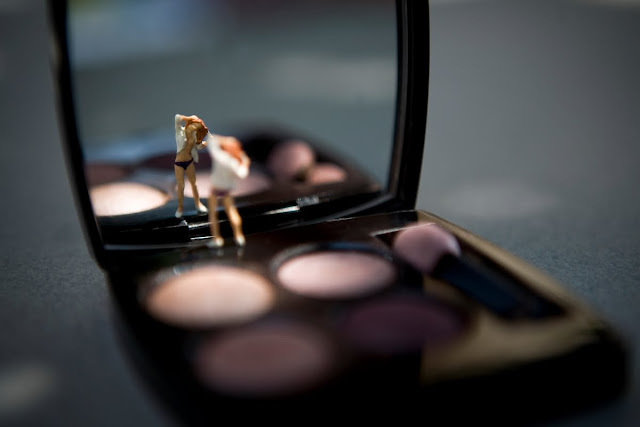 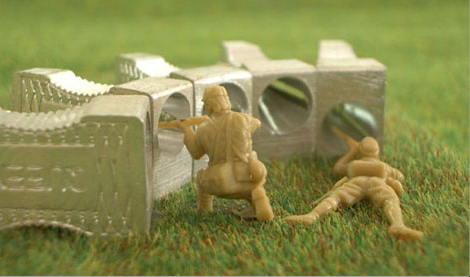 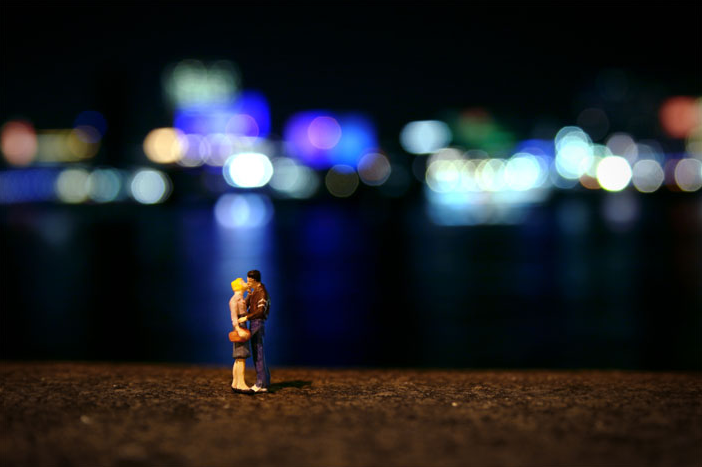 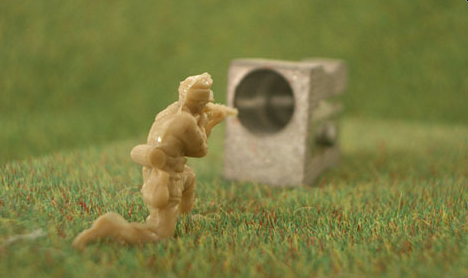 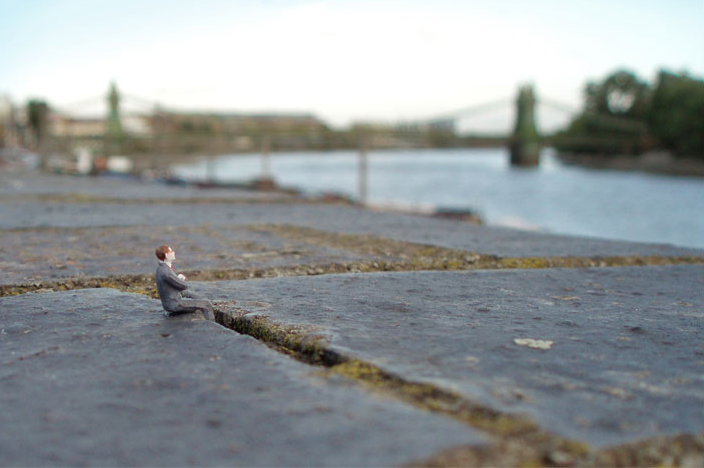 See more of Jason's miniature images here. 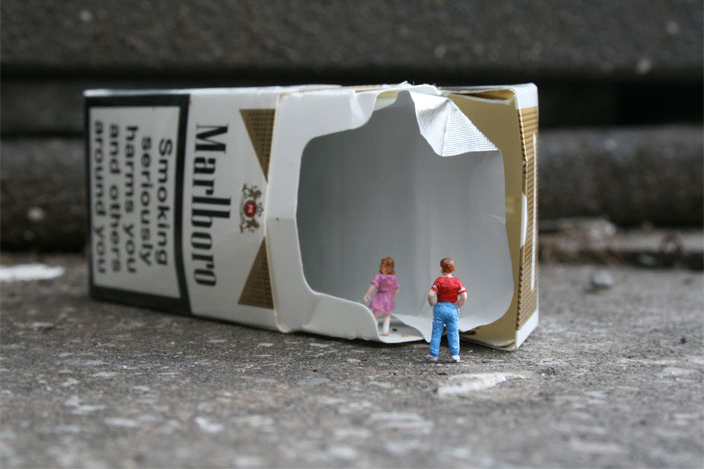 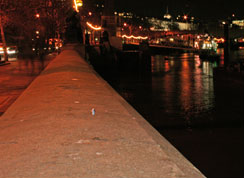 An anonymous street artist who goes by the name of Slinkachu, has a series named "Little People Left In The City To Fend For Themselves." 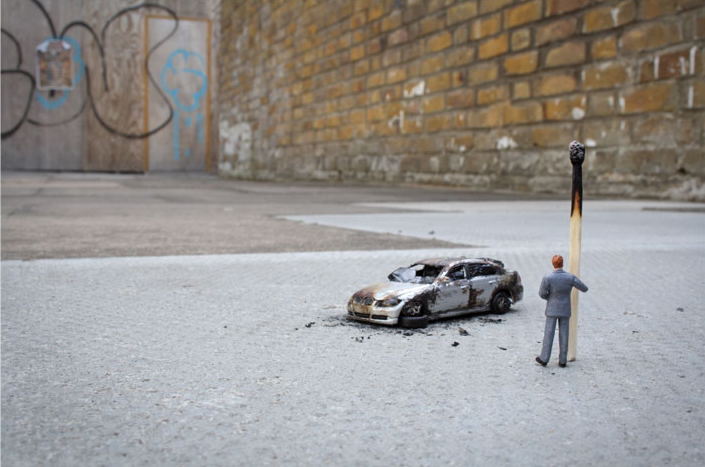 What make his or her work slightly different than the others is that the series is a street art installation, placing these out in the world, as opposed to being created in a studio. 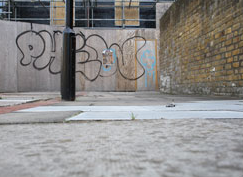 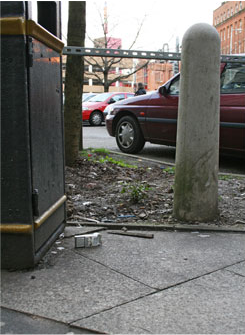 The images below show the narratives as close-ups and then as they are seen in the environments. 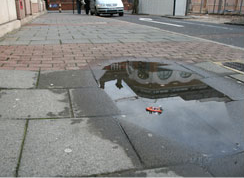 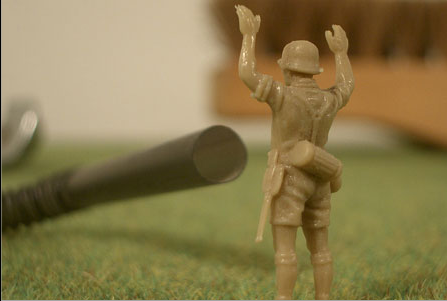 See more work by Slinkachu here. 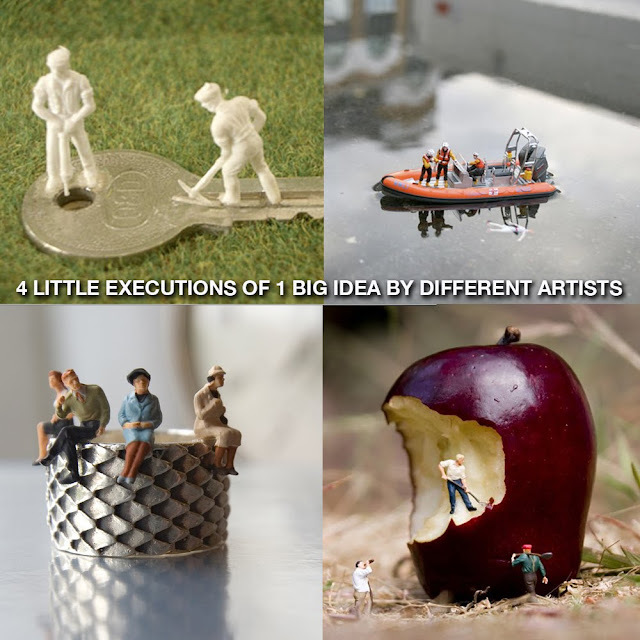 And there you have it, four talents with the same big idea of tiny people.